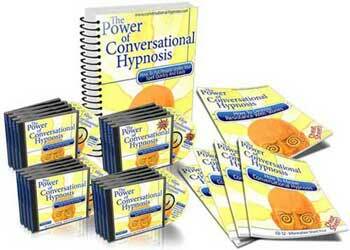 Stories are a powerful and essential building block for Conversational Hypnosis. Stories have been around since the dawn of man. All through history life has been documented with some type of story telling. Telling a story, whether it is a hypnotic story or not, is a way of bringing a person out of their own world and into an altered state of mind. Stories absorb your attention, they bypass critical factor simply because you recognize them as stories and they create unconscious responses in everyone. When you tell a story you will incorporate hypnotic themes, sometimes without even trying, and seed a strategy in the minds of others. You can use stories as a way to embed suggestions, emotional triggers and link these suggestions and triggers to a specific action or outcome. Stories can help you to suspend reality as well as merge realities together. They can offer a quiet resemblance to your life and the situations and problems you find yourself experiencing. All these aspects of story telling run right along the lines of the skills you will practice and master in hypnosis. Stories are an important part of what you will be doing as a hypnotist. They are an art form and there is as much a method to good story telling as there is to hypnotic story telling. Remember as you read this information that we are focusing on the telling of stories, this is much different than the writing of stories. What you will do as a hypnotist is tell stories in order to invoke change in the people around you. There are certain aspects that need to be involved to tell a hypnotic story, there are different actions and ideas that need to take place, at least to some degree. Even the simplest stories are still recognized as stories because they follow a type of formula that you hear and think, okay so that was a story. You may think it was a bad story or you may think you heard a great story. Either way you are not able to deny that it was a story. Hopefully you will be creating and telling great stories. In order to get on your way to telling good stories there are parts of a story that you need to be consciously aware of. A simple set of instruction that will help you in creating the most basic principal of what a story is. From there you can build and add to the story as you feel necessary, but it must contain these few instructions in order to fall into the category of a hypnotic story. The first rule you must include in all your stories is to begin with a routine. This can be a very simple routine or a complicated one; it does not matter as long as there is a routine placed at the beginning of your story. In this article we will build an example story together. So the beginning routine of our story will be, “I was driving my car down the highway.” This is a routine that will start the story we are going to build here. The second rule for building a hypnotic story is that you must break that routine. Whatever routine you found to begin your story with must be broken. There needs to be an interruption in the action. “I was driving my car down the highway when I heard an unexpected noise coming from the back seat.” Here we have broken the routine, something other than driving down the highway has happened. The next rule to this formula for story building is to change someone. There needs to be a character in the story that is changed. This means they need to have some type of emotional effect. Something needs to happen to affect the character you are changing that will produce an impact on that character as a result of an event. “I was driving my car down the highway when I heard an unexpected noise coming from the back seat. As I looked in my rear view mirror I saw a small black dog, she was holding her paw in an odd way. I immediately pulled the car over and got out to see what the situation was. The little dog was bleeding and was in great need of medical attention. The part of my story where my character decides to take the dog to the hospital is where the change is taking place. There is a clear decision made and an emotion is attached to it. Now there is a fourth and final rule to hypnotic story telling that you have the option of including or leaving out. If you can find a way to incorporate it into your stories you will be glad you did. This is called re-incorporation and it really pays off in the end. Re-incorporation is when you add a seemingly meaningless detail to the beginning of the story and then re-incorporate it at the end. This is a way to usually add a riveting effect to your stories. If you can follow all the rules of story telling you will come up with a story every time that will be recognizable as a story. Your listener will have no question about what you have just said and it will meet the expectations of a story for anyone who hears it.